15 things to get rid of this spring. Now that's lightening up! 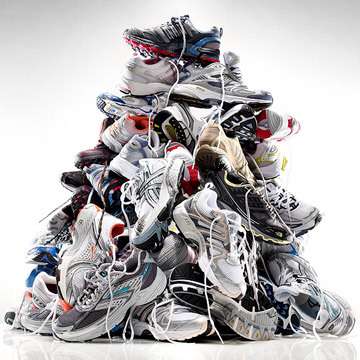 Be honest: Just how many pairs of old athletic shoes are littering the floors of your family's closets? "All you need are the ones you're wearing right now," says Gail Blanke, author of Throw Out Fifty Things, plus any specialty shoes for your kids' sports. You can be kind to the earth (or others) while you do your shoe-removal blitz. Most shoes (even ratty ones) can be recycled and turned into material used in playgrounds and tracks. Go to recycledrunners.com or letmeplay.com/reuseashoe for Nike's program. Or donate gently used shoes to soles4souls.org or other charitable organizations. Don't risk a sunburn from too-old sunscreen. Sort through that drawer of leftover tubes, bottles, cans, and sticks and get rid of anything that's three years old or more, after which it will lose its effectiveness, says Motherboard Mom Amy Derick, M.D., of Derick Dermatology in Barrington, Illinois. "If you have sunscreen that old, you're probably not using enough," she says. 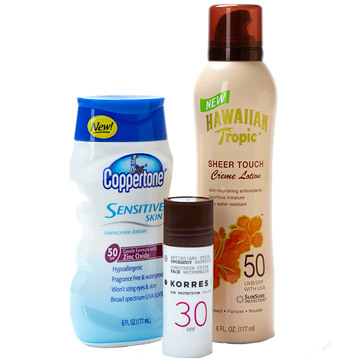 And newer sunscreens are labeled with sun protection levels for UVB and UVA rays, making them more effective. How many single socks have you held onto hoping that their partner will show up some day? Well, some day hasn't come and the time is now to unload those lonely socks and any other items that are hiding in your kids' drawers. Motherboard Moms had ID'd the kids' dresser drawers as a prime spot to find give-aways. 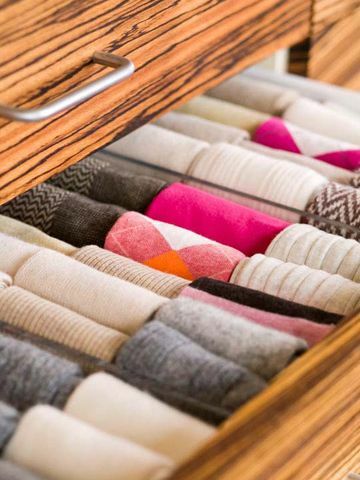 Going through clothes closets is a spring ritual for many moms, but sometimes drawers get short shrift. "It's easy to forget about the drawers," says Leah Jacobsen, Fredericksburg, Virginia, mom to children ages 16, 14, 12, and 5 years old. "That might explain when kids don't have socks that fit!" She and her family tackle dresser drawers together and follow up with something fun like pizza for dinner, she says. Kids grow. Bikes don't. Scooters don't. Rollerblades don't. Which is why Motherboard Moms like certified professional organizer Jill Revitsky, owner of Discover Organizing, Inc., end up asking themselves, "When was the last time I saw my 15- and 17-year-olds riding their scooters?" Revitsky persuaded her teens to give the scooters to the little girls down the street. If you don't know a child who could use a bike, trike, or other wheeled contraption, try to find a local charity that refurbishes or recycles bikes, suggests organizing pro Gail Blanke. 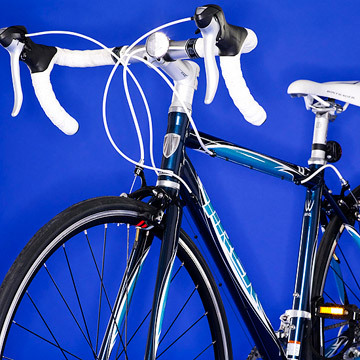 Google "bicycle donation" for your location. Or donate to earth911.com, which recycles bikes. Your 12-year-old hasn't played baseball since fourth grade. Your daughter traded roller skates for ballet shoes. Then there's the broken stuff, stored through the fall and winter because "We think we'll fix it," says mom and organizer Jill Revitsky. 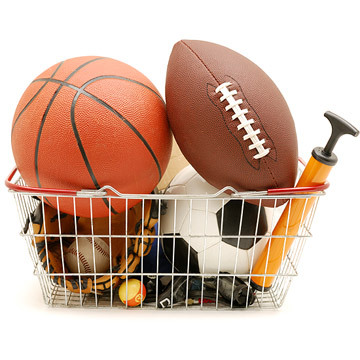 All of this sports stuff—whether it's outgrown or in need of repair—can be donated. And you'll have room to walk into the garage! Good intentions can lead to a big pile of stuff you don't need. That's what happened to Motherboard Mom Dawn Schnake, who kept tucking away the plastic pots that her annual plants came in. I would think, Oh! I can use these to germinate my own seeds next year, she recalls. Except she didn't use them. After a couple of years, she finally decided it was time to get rid of them. She recycled them, which is a great idea. 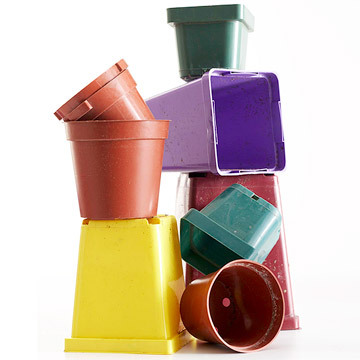 But you could also ask your local nursery if they would re-use the pots. Check with your local city government to find out how to dispose of paint; you may need to take it to a hazardous waste collection site. Some hardware stores will accept cans of paint. And if it's latex paint that's completely dried up, it may be allowed in household trash. Organize the paint that you do want to keep. 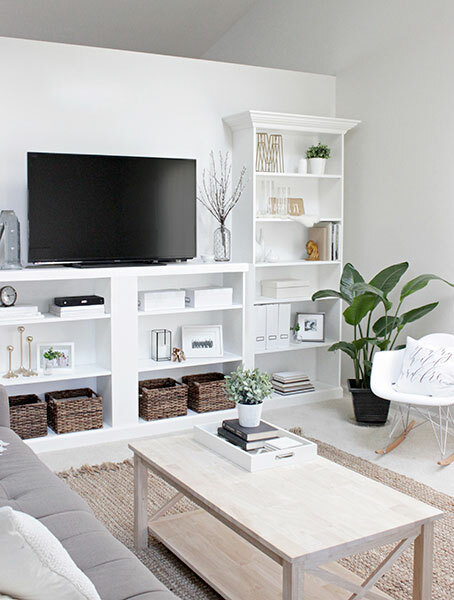 "It takes a little bit of time, but can save time later on," says Chris McKenry, certified professional organizer and owner of Get It Together LA. Dip a wooden paint stir stick (free from your paint or hardware store) into the paint and use a marker to write on the handle what room it's for and the custom color number. 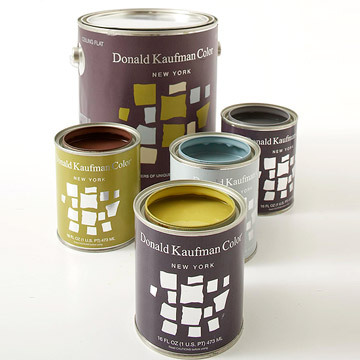 Dab a thumbprint-size blob of the paint color on the lid. You know the things on your honey-do list that need fixing—that lamp that needs a shade or a quick rewiring, the wobbly bookshelf you were going to fix last year—but there never seems to be the time? 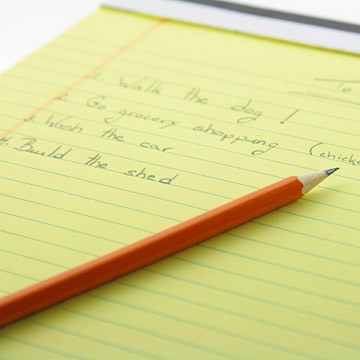 "Be realistic with yourself," says Chris McKenry, certified professional organizer and owner of Get It Together LA. "If it hasn't been done in six months, it probably won't happen." That means you can recycle those items and clear your to-do list at the same time. 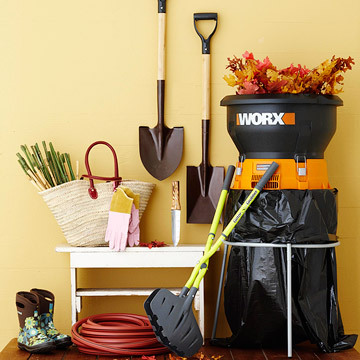 With spring in the air, there's no better time to sort through your lawn-and-gardening tools. Most of us have three of the same kind of rake and one with a broken handle, points out Washington, D.C., mom Maria Gardner. Every spring she gets rid of anything broken and donates any extras or duplicates that are taking up space. She also sorts through gardening gloves, which seem to multiply (or disappear) at the same rate as socks. She pins pairs together with clothespins (a good use for something else you might find in the garage or laundry room that you don't use often). Unlike socks, your gardening gloves don't need to match! But if you've ended up with too many gloves, consider donating them to a garden club or local charity. Another space hog: those leaky hoses and sprayers or sprinklers that never work quite right, says Michelle Speak, mom of three in Parker, Colorado. Get rid of them! That great deal you got on seeds a few years back? It's not a good bargain if the packets are sitting in some drawer or corner of the garage. 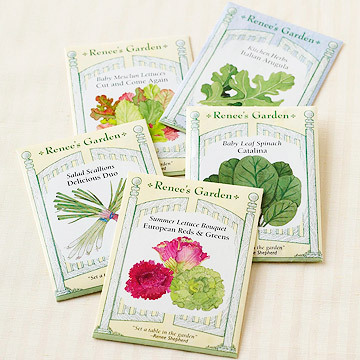 Most vegetable seeds will last two or three seasons if stored in a cool, dry place, says Susan Littlefield, horticultural editor for the National Gardening Association. Onions, leeks, and corn tend to be short-lived. If you're not sure about your seeds, do a germination test, says Littlefield. Sprinkle 10 to 20 seeds on a moistened paper towel, roll it up, put it in a plastic bag, and keep it in a warm spot out of direct sunlight. Check it in seven to 14 days to find out how many have sprouted. If at least half have, then go ahead and use them, although you might sow them more heavily. If less than half, get rid of them. Toss the seeds in a corner of your yard and recycle the packets. 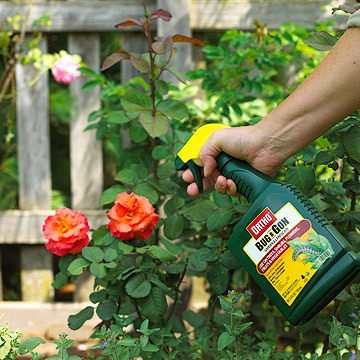 "It's like going through your medicine cabinet," says gardening pro Littlefield. "Herbicides, pesticides, and fungicides don't have an indefinite shelf life." They'll eventually break down chemically and should be discarded properly. Check your local city government for hazardous waste collection sites. Consider whether plants, shrubs, and even trees, especially those close to your house's foundation, are too old and unhealthy looking, overgrown, or no longer suitable for their location. "Plants can outlive their usefulness," points out Littlefield. "That spruce tree was tiny when you set it out, but now it's grown too close to the driveway." 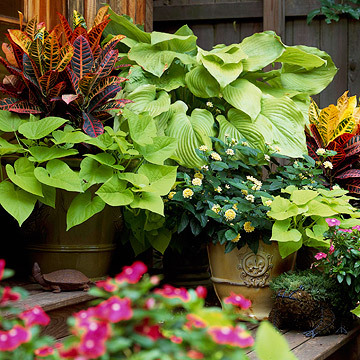 Divide plants like hostas when they become too large. Your yard will look better and someone will appreciate your hosta donation. Plus it's easier to take care of plants that are healthy, the right size, and in an appropriate spot. Go through the glove box and discard old insurance cards and out-of-date registration papers. Keep a small portfolio in the glove box with current registration, insurance card, schedule of oil changes, and pen and paper in case of an accident, but clear out everything else. While you're at it, clean out the trunk, too. "Clear out all the old bags, tools, and kids' toys that have become a mountain of waste in the car," says McKenry. Check that the jumper cables still work and wash the emergency blanket that's been stored all winter. 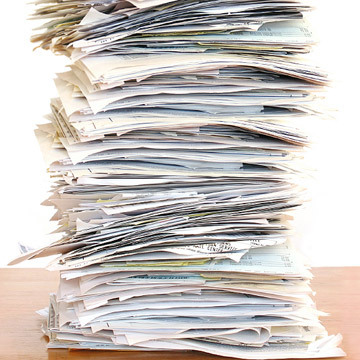 With the end of the school year on the horizon, it's a good time to weed out this year's flotilla of paperwork, from math worksheets to spelling tests, suggests mom and organizer Revitsky. "Keep the papers like the story about your son's playing soccer with his brother or being in The Nutcracker," she says. "Forget the math papers. You want the things that define your child." Date the back of the schoolwork you keep and store in plastic bins labeled for each child. Recycle discarded papers. Virginia mom Leah Jacobsen and her husband are both self-employed with home offices, so keeping ahead of the paper clutter can be a challenge—but they've gotten good at it. "We try to shred things as we go along," she says. And each year at tax time in the spring, they discard records after seven years and move closed project files out of their work area into "deep storage." They keep those records in plastic bins and "label everything thoroughly," Jacobsen says. To clean out like the Jacobsens do, check with your accountant or go to irs.gov to come up with a retention schedule of tax records.